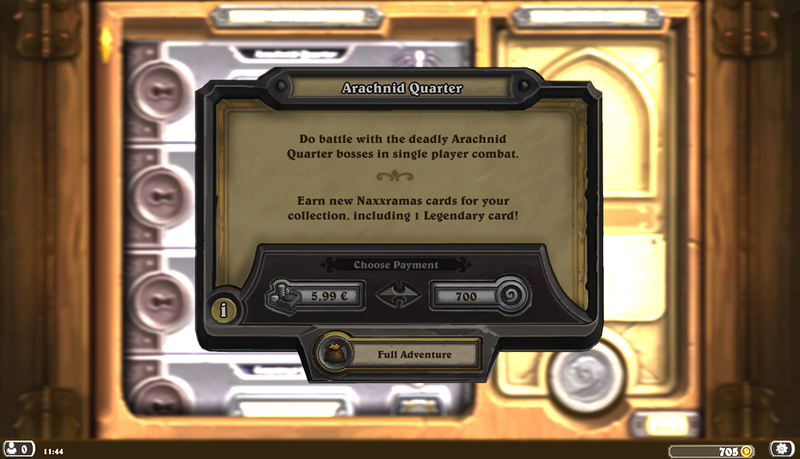 Note: This is the third part of the Free to Play Journeyman Hearthstone Guide Series. Be sure to check out Part 1, Part 2 and Part 3 first! The door to the inn slams shut, barring once more the icy wind's ingress. All eyes follow the newcomer as he trudges across the creaking floorboards, snow drifting from his thick coat to vanish in the hearth fire's cosy warmth. The remnants of the frigid breeze that accompanied his brisk entrance blow themselves out in the tavern's dark corners. "Ale," he barks at the innkeeper as he removes his outerwear, and around him the murmur of conversation resumes, his interruption already forgotten to all but you. His apparel is new, fine, and you run your hand through your beard as you appraise the mark. Then from his pouch he produces something mentioned only in legends. When it appears from beneath the heavy scarf his young face is unmarred. You smile. 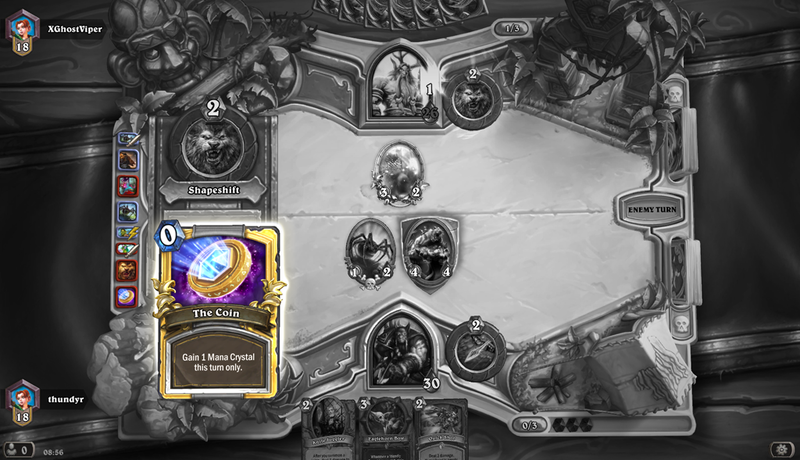 I honestly do not know how much money my opponent on that day had spent crafting this deck, a genuine work of art. 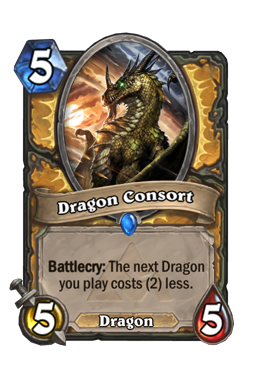 As heralded by the Golden Coin, every card was Golden, and they were Dragons! Yes - all the ones from Blackrock Mountain not named Dragon Consort , plus all the neutrals like the Faerie Dragon in play. 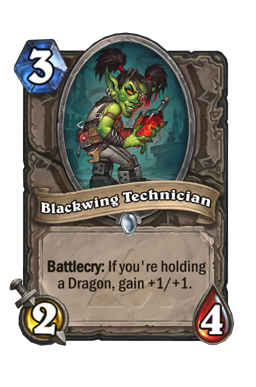 He had the dragon repair crew as well (Blackwing Technician - the girls that fix dragons when they break). The dust cost of the deck must have been astronomical. Yet he lost despite his riches. Or maybe it was just because Dragons prefer to eat Druids than ally with them - those antlers make great toothpicks. You'll note from the cardback of my deck that this is my EU account - that's the season 1 reward. The cards in my hand and in play tell a tale of their own, one that I find quite instructive enough to discuss in this article. Given that the first wing of Naxx will yield Haunted Creeper and Nerubian Egg , I feel it important to consider what will be done with them. 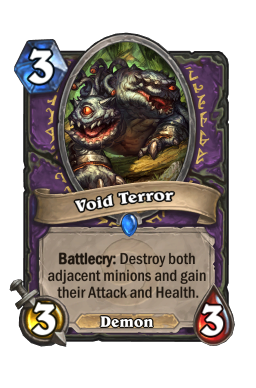 Even though Face Hunter is easier to collect than Zoolock, I'm going to start with the latter because I own a few handy Warlock cards like a second copy of the Void Terror in the Wall of Shame and a Doomguard , as well as several neutral commons that prefer Oppa Zoolock Style. Although the Void Terror is not in the current deck list as shown on the right, it has great synergy with Nerubian Egg, and with (or as in my case without) Power Overwhelming . The deck here is significantly different to the Tempo version I showed last time, and that is mainly the fruit of opening the Doomguard and considering where I'm going. Direction! My goodness, whatever did we do before we had that? 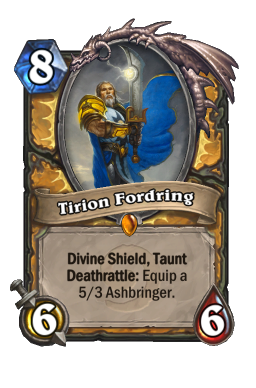 The deck has taken me from rank 18 to 16 even though it's still early season and I often lose to Control Warrior or Tirion Fordring -powered decks of legendaries and epics. 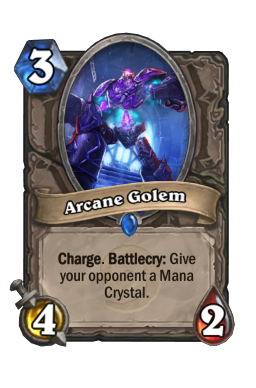 The performance of this deck even in this early stage has been very encouraging despite its obvious weakness against Mage. Naturally, you might not have the exact set of cards I have, and equally obviously there are cards I'd like to have to improve this deck. To make a "proper" Zoolock you want to end up with something like this. 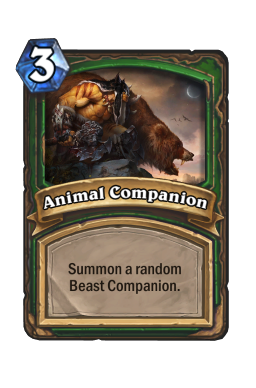 As you can see though, it's moved quite far from basic set cards - it contains only 4. We've a long way to go folks, but the deck on the right provides a decent starting point. 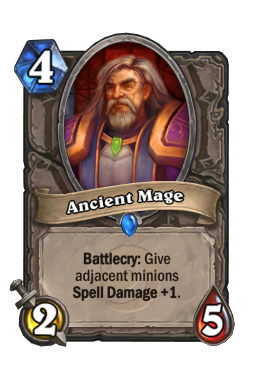 Perhaps the target deck is a bit "old school", but it will take you far, and from where I am would take only 900 dust to craft in full. But getting back to my deck, I see you have some questions... Why Blood Imp instead of Young Priestess? Because Blood Imp doesn't die. 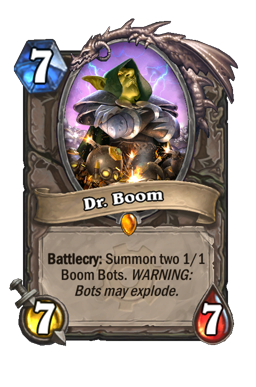 The bonus health is a bit of a gimmick, but you might notice how many minions we have that start with 1 health - a death wish against Mage, Druid or Rogue. If Blood Imp manages to save even one of these it's done its job of getting 2 damage to face, and with Stealth it can do it every turn. 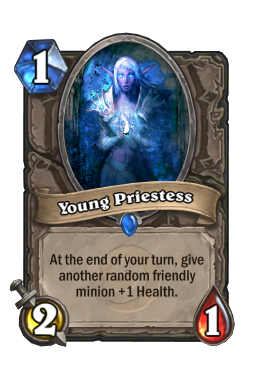 By contrast, Young Martyr Priestess generally doesn't survive until your next turn, which is why Blizzard were thoughtful enough to put "Young" in the name, emphasising the minion will never live long enough to grow old (as opposed to Ancient Mage , a doddering fool that everyone just ignores, which is why you always lose with it in play). This is a rare case where a creature's defensive effect has more weight in an aggro deck. Hellfire? Dread Infernal? Surely these kill your own men! They do indeed kill my own men, or they would if I allowed them some rein for their desires. Being a Warlock implies commanding the demons, controlling them; if they control you, you're toast. Literally. 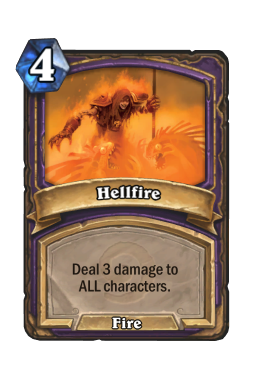 Hellfire is our only answer to a Patron horde, and it doubles as a wipe for opposing mechs, swarms, totems. 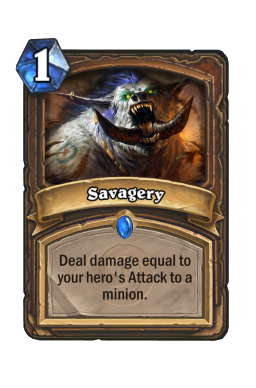 It's also 3 damage to the opponent's face for lethal; he didn't want that beard anyway. 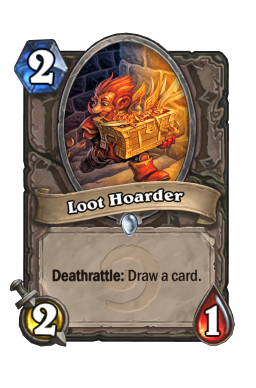 You won't play it every game you draw it, but every time you play it you'll be glad it was in the deck. The same goes for Dread Infernal. 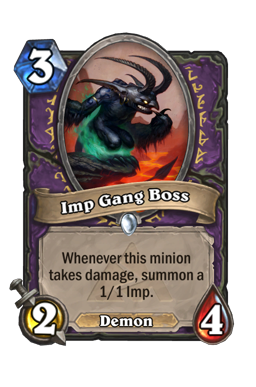 The more popular version of Zoolock these days plays Imp Gang Boss alongside Imp losion, which has made me dub the deck "Implock". 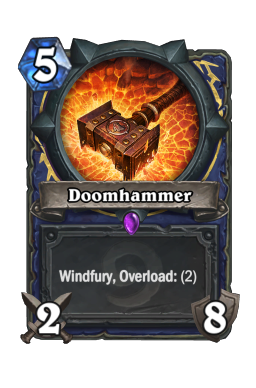 But I'm simply not popular enough for the name to trend so they still called it "Zoolock", even though Imps and Zoos go together as well as vodka and sobriety. Mr Infernal (and the afore-mentioned Hellfire) has a habit of removing any advantage the "weenie swarm" player has generated, and can sometimes leave him in No Ten as a result. 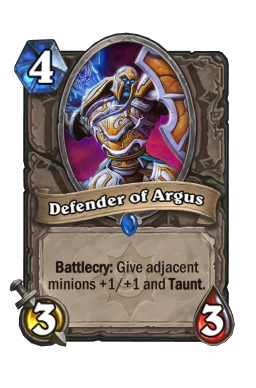 When I started playing Hearthstone I disliked both cards, but lately I've taken something of a shine to them because they are relevant to the current, small minion metagame. 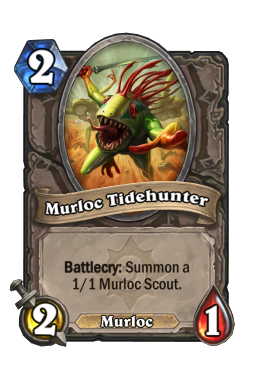 Murloc Tidehunter? I thought you said we should never omit Acidic Swamp Ooze? Generally, when you see a Murloc there's trouble. For the Murloc. Although their race rhymes with our hero, lone Murlocs are generally not worth the effort. 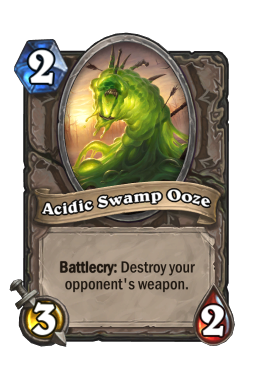 I love Acidic Swamp Ooze , but not in an aggro deck. It's a tempo card, and therefore it does well when played at the right time. 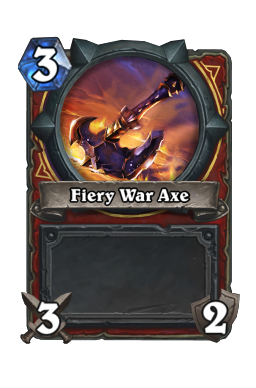 But in an aggro deck like this one it needs to hit the board immediately to be effective, so if our opponent hasn't made his Fiery War Axe or Doomhammer yet, do we hold the Ooze and miss the opportunity to develop the board or play it and waste the ability? 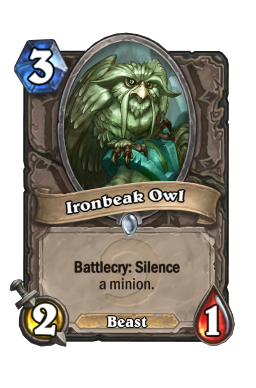 In a deck with another situational 2-drop in the shape of Ironbeak Owl , this makes for some powerful Discordant Soup - your intestines don't go Zen, they go zing! 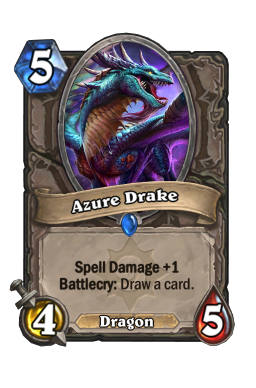 The Ooze is a better card than the Murloc, fo' sho', but in an aggro deck it only helps us make mistakes. 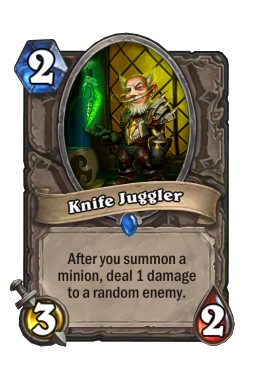 The Murloc on the other hand is only bright enough to do one thing, and its cousin would help trigger Knife Juggler (if we had it) and can suicide into Annoy o tron's Divine Shield without costing an entire attack. As for Murlocs and Warlock, the more the better. Murloc theme decks can actually do quite well with the hero, but one really does need to own all of them (and Young Priestesses too!). How will Naxx change this deck? Obviously Haunted Creeper and Nerubian Egg go straight into the deck, cutting the Murlocs, and Loot Hoarder s. I'd also cut the Blood Imp for a second Shattered Sun Cleric to help give our Nerubian Eggs a chance of becoming proper, grown-up Nerubians. With fewer 1 health minions to boost, the Blood Imp also loses value. What are the other alternatives? Infiltrators are place holders for the missing Flame Imp and Leper Gnome. 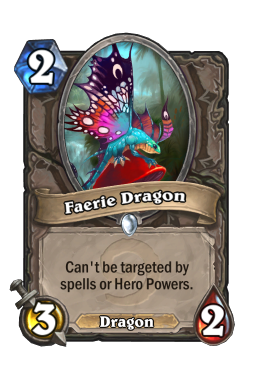 Faerie Dragon and a Farseer for Knife Juggler. 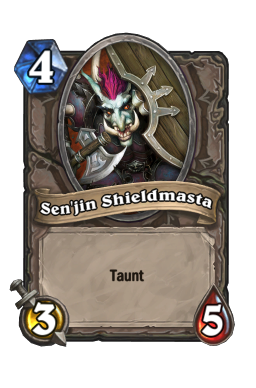 Sen'jin Shieldmasta for Defender of Argus. 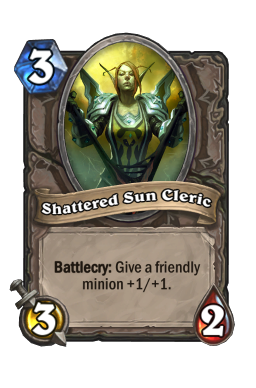 If you have 2 Defenders then the Shattered Sun Cleric is surplus to requirements - eg for Power Overwhelming or Dark Iron Dwarf. 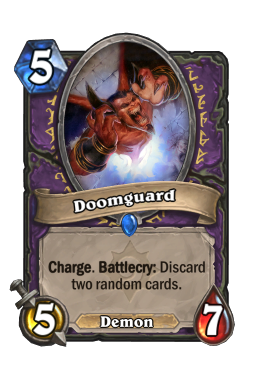 Dread Infernal and Doomguard are interchangeable, preferably two of the latter. 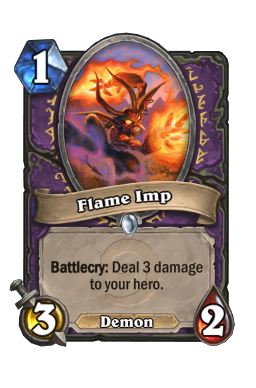 Imp-losion for the Hellfire, but only if you already have 2 Knife Jugglers. The Pro's play Soulfire! I'm not a pro. 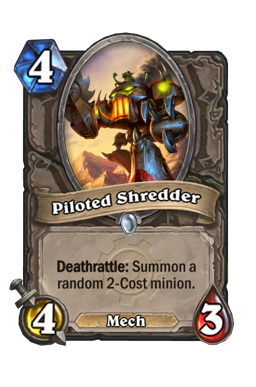 I also hate discarding Doomguard or other good cards just to deal some damage. So, like, how does it win? 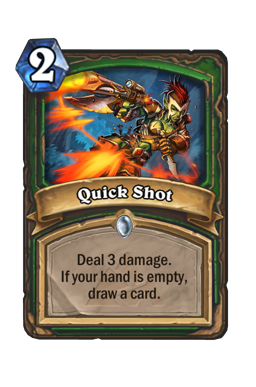 Mulligan for a 1-drop - essentially throw away anything costing 3 or more or even the whole hand to ensure you have something to do on the opening turn. Draw cards (tap) with the hero power as often as you can, just be careful once you get below 15 life as some heroes can "burst down" enough damage to kill you from there. That's like a "hoe down", just with fewer ho's. 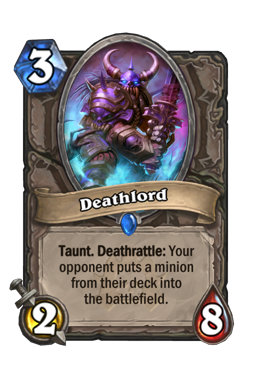 Concentrate on making good trades, even though the deck can "go face" - they're always only a Doomguard from death anyway. It took 11 days all told to get the 700g to unlock the first wing (the 5 is a leftover from the Arena run). 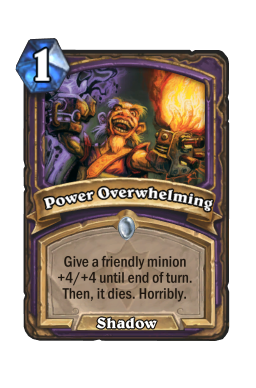 Defeating the Naxx heroes on normal difficulty requires thought into how to combat the hero power - the contents of the AI deck are slightly less important. On Heroic difficulty this isn't completely true, but we're not worried about that - no one without significant funds will be crafting Golden versions of the reward cards, and going to the trouble of getting a new card back by clearing Heroic mode is not something I find necessary. Yarl's Mighty Motor Vehicle. 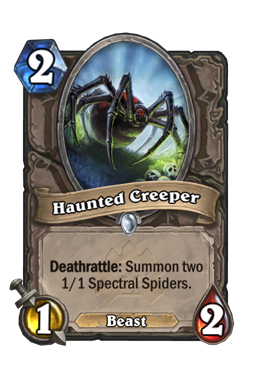 Anub'Rekhan is our opponent for the Haunted Creeper s. The hero power creates 3/1 Nerubians for 2 mana, so it seems likely that choosing the Mage hero is an appropriate foil. I went with the same Mage deck I presented in the first article of this series: Almost Basic Mage. The game played out with my opponent deploying two early Deathlord s, which provided me with a springboard into a turn 7 Flamestrike to put the enemy in No Ten. One game; 2 Haunted Creeper. 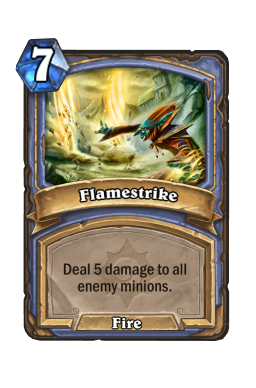 Yes, the basic cards for Mage are that good. Grand Widow Faerlina deals damage equal to cards in hand to random targets, 1 point of damage per card. I figured my most aggressive deck, the one where I could play out my hand fastest, would be the Warlock I've presented above; I just wouldn't tap for the extra card quite so much. I played it like a Face deck, ignoring the opponent's board and just attacking the player, and won easily enough with a final Hellfire . She didn't need that beard. 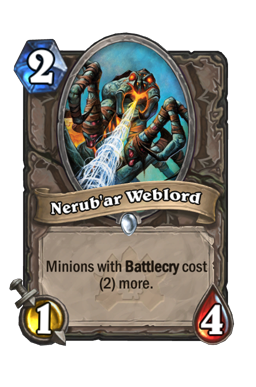 One game; 2 Nerub'Ar Weblord . Maexxna returns a random minion to hand, so obviously we want lots of minions in order to not be disrupted. I went with the Warlock again, played a bit more conservatively, and won in one game with a final Doomguard to the face. One game; 2 Nerubian Egg . All too easy. 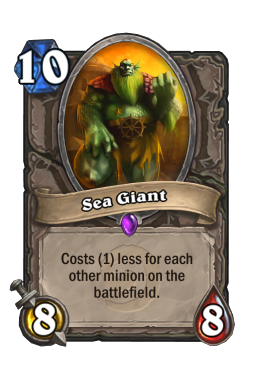 Sadly I would need a second attempt at the Rogue class challenge due to the opponent dropping 2 Sea Giant s in the same turn the first time. This prevented me completing the wing in the minimum number of 5 games. Warlock deck modifications: -Blood Imp, -Worgen Infiltrator, -2 Murloc Tidecaller, -2 Loot Hoarder, +2 Nerubian Egg, +2 Haunted Creeper, +Shattered Sun Cleric, +Void Terror I shall keep you posted on results. 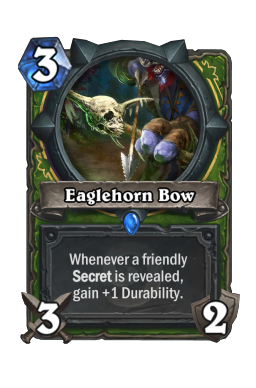 Next time we'll have a look at Face Hunter, not that the deck really needs a guide. For those wishing to craft the deck there will be an easy route to follow. As ever, thanks for your time. Comments and criticism most welcome.